When you visit a casino you know that there are going to be table games such as poker and blackjack, but as more open up and down the country the variety of games continues to grow. 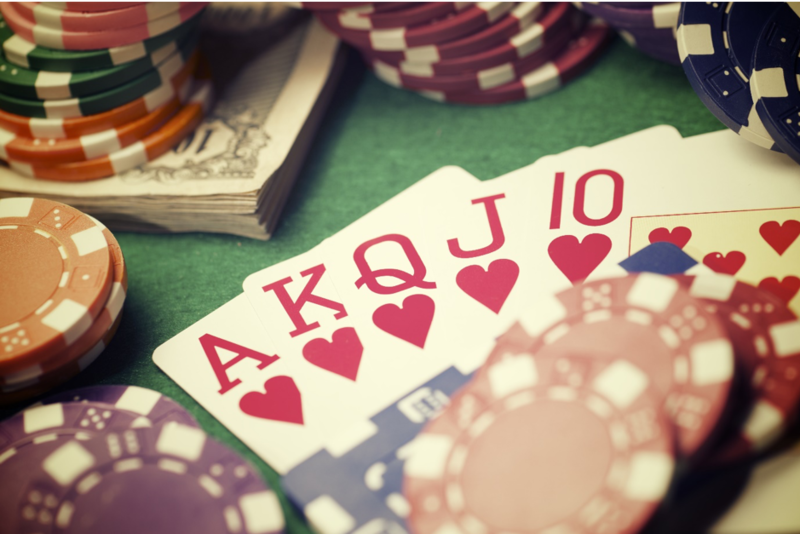 From Caribbean stud poker to pai gow, there are plenty of new games ready for you to try, so we have put together a list of the casino card games you may not know. Caribbean stud poker is a popular casino game which has a progressive jackpot wager. Similar to stud poker, minus the bluffing, it is only the dealer you are trying to beat and not the other players. After playing a bet on the ante, the player and the dealer both receive five cards and only one of the dealer’s cards is turned face up. Next, the player decides whether they wish to raise or fold and more cards are revealed. The dealer only qualifies with a hand of ace king or higher and if the player wins they get paid based on the wager chart. An extra added bonus with Caribbean stud poker is that there is the chance to win a massive jackpot. If you get a royal flush you win the massive prize as long as you have made a bet at the beginning of the game. In Mississippi stud, there is no dealer hand to beat and you start by receiving two cards. With these cards you need to decide if you wish to bet and when you’ve decided, the community cards are drawn. As each of the three community cards are drawn you will be asked if you wish to make a bet, but if you don’t make any then you must fold and lose your bets up to that point. However, with the chance to place multiple bets and without feeling the pressure of the dealer it can be a very profitable game. It involves basic strategy similar to Texas Hold’em and is a popular game for many. Pai gow poker is a seven card game, which is divided into a five card poker hand and a two card hand. The aim of the game is to have both the better five card hand and two card hand than the dealer and was created from a mixture of a Chinese domino game and poker. This unusual version of poker has been rated popular among players for years as it gives you double the chance of winning. With two sets of hands you could walk away with even more money and have a great time in the process. This is a version of five card stud where each player receives three cards and two cards are turned face up on the table. Just like the classic game the two face up cards are used in combination with each player’s three cards to form their best poker hand. Let it ride is another game that is not played against the dealer and winners are paid against a pay table which starts with a pair of tens or better. Each player starts by placing three equal-sized wagers and can pull back one after they receive their cards. Three card poker, also known as tri card poker is similar to the traditional game, however you both play with three cards. The dealer will hand out three cards to each player, along with himself and is a quick poker variant. The game has received lots of popularity in casinos due to its speed and offers the basic form of strategy. To qualify the dealer has to have a queen or higher and it is recommended players do the same in order to win. Four card poker is very similar, but the player receives five cards and the dealer gets six. The principle of the game is still the same and the dealer’s extra card is turned face up to be part of his four card poker hand. If you are interested in trying out any of these games or finding out what other games are available try checking them out at Paddy Power now. Offering a massive variety of games covered in this article, let us know which alternative game is your favourite.